Today, a light bulb goes off. The University of Houston’s College of Engineering presents this series about the machines that make our civilization run, and the people whose ingenuity created them. A gallon of milk. A pound of hamburger. And … a 60 watt light bulb. Growing up, we learn a variety of measures from experience. For most, mention of a 60 watt light bulb conjures images of brightness. Sixty watt bulbs work fine in the bathroom, but they’re too bright for the bed lamp and not bright enough for the kitchen. Problem is, the watt isn’t a measure of brightness. It’s a measure of how much energy a light bulb uses. So what’s that mean in practice? When all light bulbs are made using basically the same technology, your 60 watt bulb is just as bright as mine. But if we use different technology to make our bulbs, the same wattage — the same energy consumption — may yield bulbs of very different brightness. Your 60 watt bulb may be many times brighter than mine. So when we buy light bulbs we should be interested in how bright they are. That’s not related to watts, but to lumens. The word “lumen” will soon replace “watt” in our light bulb vocabulary. If it seems a bit silly that we’ve been using the wrong measure, it is. But we do it all the time. For instance, in the U.S. we step on our bathroom scales and read pounds. Most of the world reads kilograms. Pounds are a measure of weight; kilograms a measure of mass. What’s the difference? Your weight changes depending on your distance above sea level. In outer space it drops to zero. But your mass doesn’t change based on where you are. That makes it an arguably better measure. In the U.S. system, the measure of mass is the slug. If our scales used the equivalent of kilograms, we’d complain about those annoying two-tenths of a slug we just can’t seem to shed. But back to light bulbs. We’ve grown used to the standard incandescent bulb over the years. They’re cheap to make. But they waste a lot of energy. 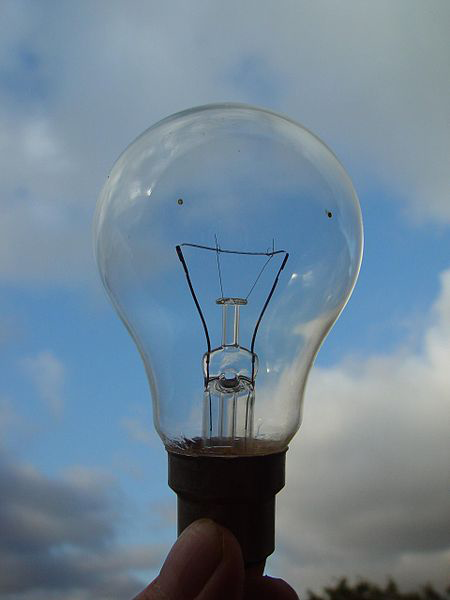 Only five percent of a standard bulb’s energy is given off as light. The other 95 percent is heat. 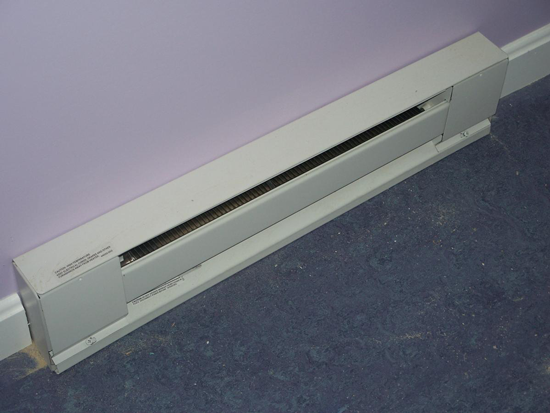 Two 100 watt light bulbs give off roughly the same heat as an electric baseboard heater a foot long. 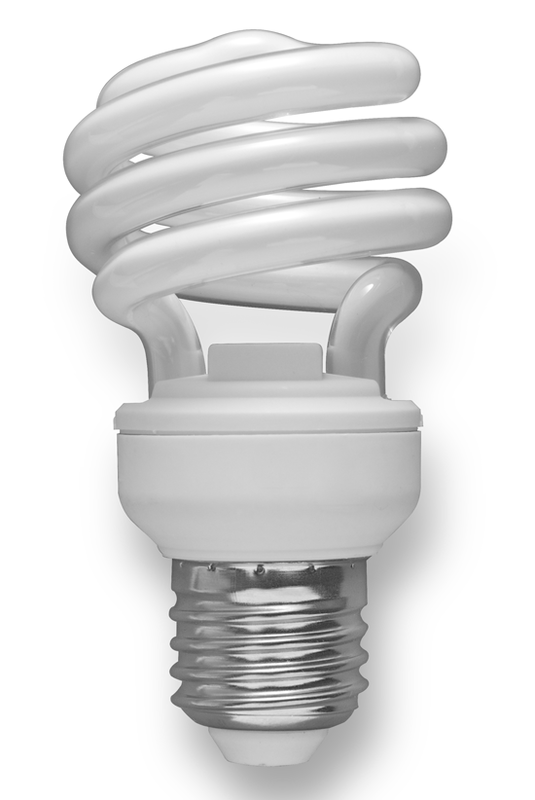 Standard incandescent bulbs are compact heating devices in disguise. The new generation of bulbs generate the same light as standard incandescents but use far less energy. The new bulbs cost more up front, but they’re cheaper to use in the long run. They not only use less energy, they last longer. Measured in dollars and cents, buying the new bulbs is a no-brainer. Comparing the many different options can be a challenge. Brightness, energy consumption, lifetime, and the type of light produced all factor into the equation. And we’ll see more options — and better prices — as engineers put their creativity to work. What was once a mundane household contrivance is now undergoing a technological revolution. And like all new technologies, we’re simply going to have to do our best to keep up. 1 Newton = (1 kilogram) x (1 meter/second^2). If users of metric scales read force instead of mass, their weights would be measured in Newtons. In many situations (such as talking about a person’s weight on the planet earth) there is no practical need to distinguish between pound mass and pound force, so the term “pound” is sufficient without further clarification. N. Horowitz. Saying Goodbye to Inefficient 60 Watt Incandescent Bulbs. From the live science website: http://www.livescience.com/42509-goodbye-to-old-lightbulbs.html. Accessed October 10, 2014. How Energy-Efficient Light Bulbs Compare with Traditional Incandescents. From the energy.gov website: http://energy.gov/energysaver/articles/how-energy-efficient-light-bulbs-compare-traditional-incandescents. Accessed October 10, 2014. Lighting Choices to Save You Money. From the energy.gov website: http://energy.gov/energysaver/articles/lighting-choices-save-you-money. Accessed October 10, 2014. What is a Slug? From the Georgia State University website: http://hyperphysics.phy-astr.gsu.edu/hbase/mechanics/slug.html. Accessed October 10, 2014. The Engines of Our Ingenuity is Copyright © 1988-2014 by John H. Lienhard.